Fashion trends come and go all the time! Some are brilliant, while some are just terrible! With some trends it is hard to understand why they are existing, and even harder to get why there are people following them.. I like being tanned, however I hate fake tan! It looks so artificial, and it is often the case that people get addicted to it. So, instead of looking nicely tanned, they turned into orange creatures, which is absolutely disastrous. 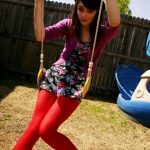 It is nice to experiment with the colors you wear, but colorful tights is certainly not the thing to try. Especially when the colors are bright, like red, pink or yellow. 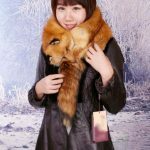 It is unbelievable that there are still people on the streets wearing real foxes around their necks..It is so unfashionable, and in all honesty it’s quite creepy especially for kids! The old fashion symbols of wealth, like this one, are more of a fashion nightmare nowadays. I hate when leggings are being used as trousers, but it is even worse when they are see through! There is nothing more tasteless than wearing one of these on the streets! I cannot decide if it is extreme bravery or absolute lack of style..
Next Post Lace – Trendy As Never Before!